Manuel Raimundo Querino (1851-1923): Remembering Adam Clayton Powell Jr.
A number of events will be held to observe the centenary of the birth of Adam Clayton Powell Jr., the first African-American elected to Congress from New York. A number of politicians, journalists and scholars will gather at the Schomburg Center for Research in Black Culture on Saturday to discuss the legacy of Powell, the first African-American elected to Congress from New York. Powell, who died in 1972, served in Congress from 1945 until 1971 and was the major black legislator of his era. At several points over the weekend, the film “Keep the Faith, Baby,” a drama based on the life of Powell that was broadcast on Showtime in 2002, will be shown at the Schomburg. “I think that people are still fascinated by him because he was a person who was a leader in the black community not just in New York, but all across the country,” said the congressman’s son, Adam Clayton Powell IV, an assemblyman representing East Harlem. 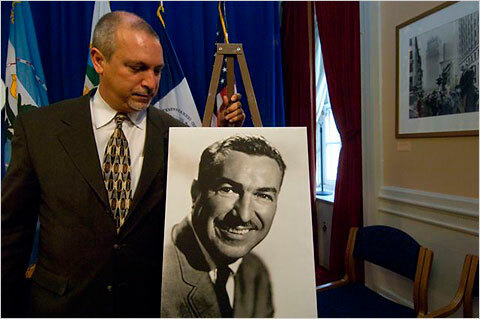 Adam Clayton Powell Jr. was best known in his role as chairman of the House Committee on Education and Labor. He was a leading figure in passage of the backbone of the much of the social legislation of the Kennedy and Johnson presidencies. He helped steer the passage of the minimum wage bill, the Manpower Development and Training Act, the antipoverty bill, and bills providing federal money for student loans and for public libraries. Of course, the congressman had his troubles, and they made headlines throughout the country. He was criticized with increasing frequency for mismanagement of his committee’s finances and traveling at public expense. He spent a good deal of time outside the district and faced a series of troubles for his refusal to pay a judgment that resulted from a slander suit. Saturday’s discussion follows a week of other activities honoring Powell, including an event at City Hall sponsored by the City Council’s Black, Latino and Asian Caucus and another at which Gov. David A. Paterson presented a proclamation in his memory.